It is really an awesome app to send unlimited messages to friends and family without any cost. Further, you can enjoy the group chats with your friends. It can be used in the platforms like Symbian, Android, iPhones and Blackberry for sending messages across the world. It is an alternative to SMS and MMS across the world at no cost. By using this mobile messaging application you can even chat with your friends in abroad or other state without any international SMS cost. One of the best feature of this app is you no need to remember your username or password for “signing” in to WhatsApp Messenger as it works through the phone number running on your Android device. Further, it integrates with the existing phone book in an easy way. It also saves your messages when you are offline or incase you miss your push notifications or you instantly turn off the phone by mistake. 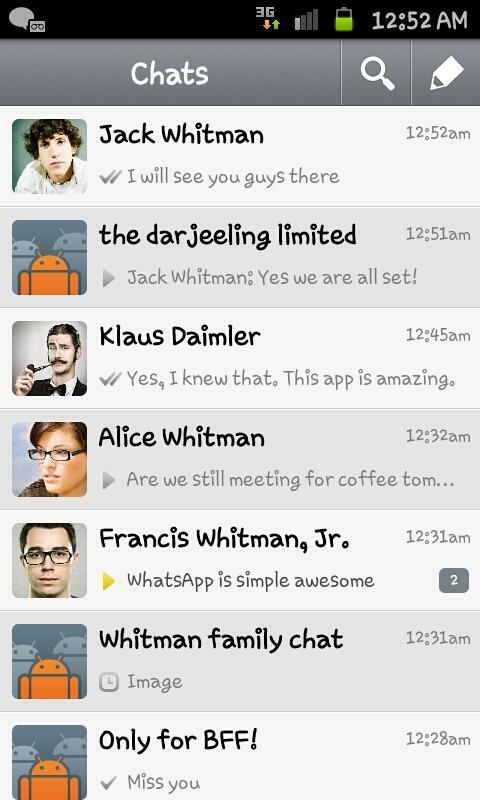 The WhatsApp also has the option to send an invitation SMS to anyone who is not a user of Whatsapp. Additionally, it has the option to initiate a phone call with any contact. Actually it does not route a call, it is just a line to dialing any contact in the phone application. It comes with worldwide chatting feature. You can send SMS and MMS to anywhere to any of your friend with no cost. You don’t need to specifically add any of your friends contact. Because this app itself import the contacts from your phone book. It does not include any International charges for sending SMS. It has a feature of Offline Messages so it saves the messages when you are offline. This app comes with Status update feature, wherein you can display a status of your choice. It further include some other interesting features like contacts, custom wallpapers, notification sounds, landscape, e.mail chat history etc. 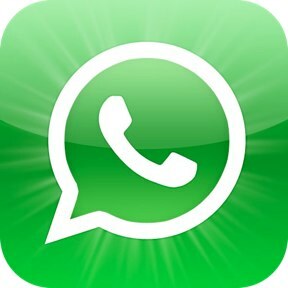 How to download the Whatsapp? If you love this app and like to download and install in your device. Then you can download the same from here based on your operating system either Android, iPhone, Blackberry, Symbian, Nokia, Windows Phone etc. Once you download and install in your mobile start to chat with your friends and tell us how it works and how you enjoy? Happy Chatting!